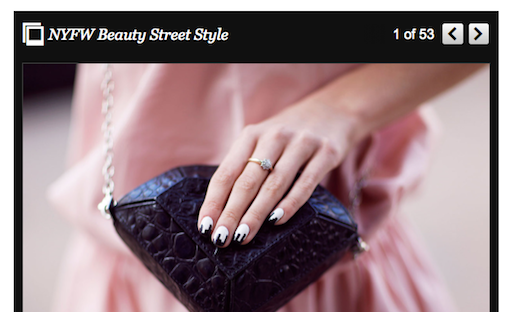 The Huffington Post featured a slideshow from Fashion Week this year paid for by Chanel. Native advertising is a big deal. Even the Federal Trade Commission and the Interactive Advertising Bureau think enough of it to take a closer look. But for now, native advertising still exists in a semi-lawless state, although it has at least managed to move past The Atlantic’s Scientology debacle, when the magazine allowed Scientology complete creative control over an article the church paid to place in the publication. The Huffington Post, one of the first publications to institute a separate partner studio for in-house sponsored content creation, serves as a useful case study into the making of native advertising. The company launched its native advertising services three years ago with IBM as its first sponsor for a space curated to include technology articles and ads. 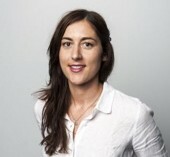 Tessa Gould is the director of native advertising at the Huffington Post. She comes from a legal background with an interest in mergers and acquisitions and has a lot of experience working as a strategy consultant for media companies. She coordinates the sales of sponsored content through the Huffington Post Partner Studio. Gould thinks a key to successful — and ethical — native ads is having in-house content strategists and creators. She said the alternative would be sponsors having direct access to a publication’s CMS (content management system), which is a “slippery slope” to “sub-optimal content,” and journalistic slip-ups like The Atlantic’s Scientology article. Many times, Gould said, the Partner Studio receives a request to pitch from a sponsor. Her team works through the ideation phase to pitch a combination of listicles, video mash-ups, or articles to interested advertisers. The team member whose idea ends up selling through typically becomes the reporter for whatever content the sponsor purchases. As an example, during New York’s Fashion Week, The Huffington Post ran a photo slideshow of 51 examples of street style. It could have been a regularly scheduled piece of editorial content timed to Fashion Week, only this one was paid for by Chanel. According to Lauri Baker, the sales director for branded content at The Huffington Post, the goal of native advertising is to encourage brands to build ongoing conversations between the customer and the brand. The way for that conversation to happen is for a sponsor to pay for a Huffington Post Partner Studio team member to write a pop culture listicle, compile a high-res photo slide show or design an infographic. On any given day, the Huffington Post publishes three or four pieces of sponsored content. The sponsor also gets a say in what banner ads are displayed around its content, which Gould said increases the efficacy of the banner ads. The content looks editorial because that’s what readers will respond to, Baker said. Producing sponsored content even involves the normal steps a journalist would take: pitching several ideas, reporting on the chosen topic and finally writing a post. The only difference in the case of native advertising is the journalist pitches, reports and writes for a paying sponsor instead of for an editor. Paige Cooperstein is a MediaShift intern. She freelances as a culture reporter interested in the intersection of journalism and technology. She recently received her master’s in arts journalism from the S.I. Newhouse School of Public Communications at Syracuse University. Paige has written front-page features for The Post-Standard newspaper in Syracuse, N.Y., interned in New York City with Vanity Fair, and is fresh off covering the School of Art at Chautauqua Institution in Western New York. While not working, Paige holes herself up to watch marathon amounts of TV. She streamed seven years of Buffy the Vampire Slayer in two months. Huffington Post can teach The Atlantic a few things about native advertising, for sure. I think there’s a lot of confusion about how native advertising should work and where it belongs, but it doesn’t strike me as anything to think too hard about. Well-written relevant material that’s as beneficial to the reader as the advertising is the secret sauce in my opinion. And that’s why Twitter, Airpush, and other mobile-focused social networks and ad networks are making such headway in native advertising. They understand this. And those that do will similarly find success or at least direction. Native advertising/sponsored content is a terrible idea. How much control does the sponsor have over the content? It’s impossible to know for certain, despite what the journalist may claim. If they pay for it you can be certain they are getting some benefit out of the deal. 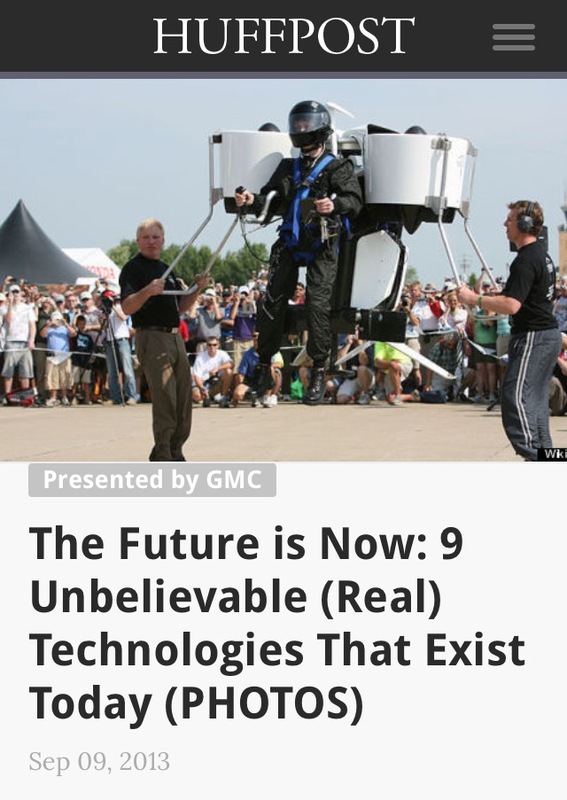 I suppose it is better for these to be clearly identified as advertisements than it is for them to be passed off as normal articles, but once I begin questioning the legitimacy of information in sponsored content, that is going to influence my opinion of the company’s content on the whole. It becomes impossible to know what is real and what is bought. It’s one thing on social media platforms. It’s an entirely different issue when you are discussing supposedly independent, unbiased sources of journalism. Sponsored content is another nail in the coffin of real journalism.